We have re-engineered a classic. Our brand new Cast Iron Kettlebells are finished to the highest quality, with an entire new design. 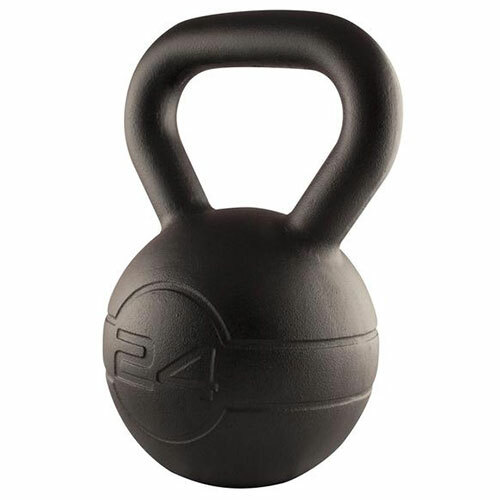 It’s stylish matte coating and etched weight and logo, give the Kettlebells a sleek look, fit for any facility. After vigorous development, we have changed the mould to enhance your workout, with perfected handle sizes and weight distribution. High grade matt powder coated finish to help with stand knocks and drops. Designed with a Flat base, for easy storage and usage. Perfectly balanced for precise user control.